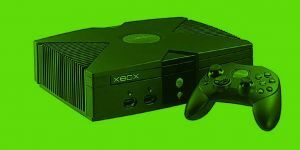 35 Original Xbox Games We Hope Return for Backwards Compatibility | Nerd Much? There’s a plethora of nostalgia from the original Xbox, and there’s no denying that Microsoft’s first video game console outing was a successful one. The original Xbox paved the road for the Xbox 360 to flourish, and now, the Xbox One brand is still going strong. But to be a successful console, there’s one thing you absolutely need: great games. There were plenty of great original Xbox games that were well worth playing. It’s for this reason that Phil Spencer’s announcement regarding original Xbox titles would be made available for backwards compatibility was so well-received. So, we went back and took a look at what was available, and what we hoped made it over through the newly announced program. Because at this point we only know of one Xbox game that’s being released through their new initiative: Crimson Skies: High Road to Revenge. Please note that you won’t find some of the standard staples here, though. All of the Xbox’s sports titles are irrelevantly old, and regardless of how good a specific sports game was, no one is going to renegotiate player likenesses. You won’t find classics like Halo: Combat Evolved and Halo 2 here either, as they were already rereleased on Xbox One via The Master Chief Collection. Spider-Man 2, for instance, is a title I would love throwing on this list. However, due to Sony having acquired the Spider-Man license, seeing the Activision-published game rereleased isn’t likely to happen. The same goes for franchises like Doom and Wolfenstein which both switched over to Bethesda after a few solid Xbox games. There’s quite the passionate following behind the Panzer Dragoon series. Orta is regarded as the best, and it was one of the most iconic exclusives to hit the Xbox. The series hasn’t been around since this games release, so maybe Sega can throw fans a bone and bring it back around via backwards compatibility. While PlayStation 4 owners received a Psychonauts remake for their console, Xbox One players appear out of luck at this point. Perhaps we can make bringing the series to Xbox a bit easier by putting the game into the backwards compatibility program. What do you say, Tim? 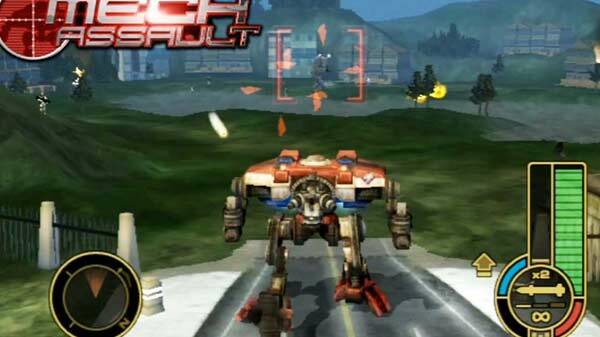 While it did have a plot centric single player story in tow, MechAssault‘s core popularity perhaps comes from it being one of the original games compatible with Xbox Live in its infancy. On top of that – it was a critical success as well. Reviewers loved this game. And its online community flourished. It’s unclear if it could have the same success to this day. But as a Microsoft published game, it shouldn’t be too hard to get it backwards compatible and have us find out. Perhaps the best fighter on the console, and regarded as one of the better ones ever made, Dead or Alive 3 was a huge hit for the Xbox. For a launch title, it had a surprising attention to detail. The game ended up becoming the first third party title to receive Platinum Status on the console. And it wasn’t all because of those bouncing polygons. Before Rockstar Games helmed Max Payne 3, it was Remedy Entertainment who brought us Max Payne and Max Payne 2: The Fall of Max Payne. The titles were critically acclaimed for their film noir influences. And the series is historically renowned for bringing “bullet time” into gaming. 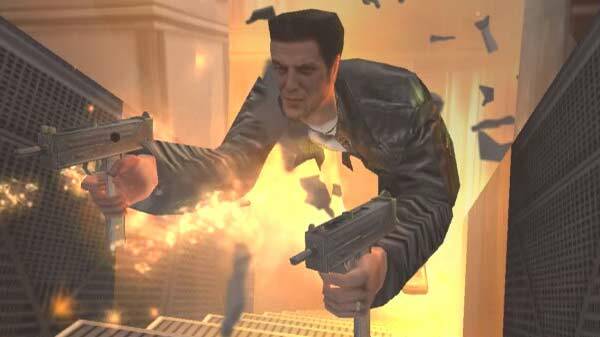 The original Max Payne is the better of the two, but Max Payne 2 was reviewed fondly as well. Both would be welcome additions from the Xbox library should Take-Two decide to bring them out from their slumber. 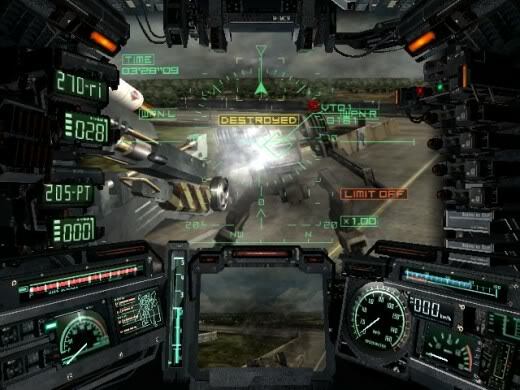 I know, I know… No one is going to invest in the $200 controller that made Steel Battalion such an interesting game in the first place. But if you still happen to have one lying around, this would be an amazing addition to your library. The game was solid – and the gimmick goliath of a controller an amazing novelty. This is one that seems impossible to have its star align. But hey, a mech can hope. Would you believe me if I told you that Far Cry used to be an Xbox exclusive? Far Cry Instincts is the console remake of the original Far Cry that came to PC a year before it. The Xbox couldn’t quite do what the PC could, so its iteration was a little more linear to keep the game from having to run an entire world on inferior hardware. Instincts was well received, though, and spawned a sequel known as Far Cry Evolution – exclusive on consoles to the Xbox as well. Evolution wasn’t quite as good as Instincts, so we’re not exactly clamoring for that one. But it would be awesome if Ubisoft brought the original out of retirement and put it into the backwards compatibility program. That way everyone could see where the popular series originated from. Bethesda’s The Elder Scrolls III: Morrowind was one of the most epic RPGs to hit the Xbox console. However, this was during a time before game patches were some prominent. So when The Elder Scrolls III: Morrowind Game of the Year Edition hit the scene with all of the title’s PC patches and DLC in tow – it was a hell of a deal. Gamers were now getting the definitive edition of an already fantastic game. And the critics praised Bethesda for it. It may be tough for some to go back to Morrowind after delighting themselves with and HD Skyrim, but the pedigree is still there. The David Cage developed “interactive film”, Indigo Prophecy earned the mantle of “Best Story” and “Best Adventure Game” from GameSpot in 2005. Those on top of nominations in other categories as well. You can tell by Cage’s insistent classification that this isn’t just some normal game. Cage was trying to tell an engrossing interactive narrative with Indigo Prophecy, and to a large degree he succeeded. Critics fell in love with the “deep, captivating, and sometimes disturbing tale.” It’s not entirely clear who has the rights to the game, but if it could be brought back to Xbox via backwards compatibility it would make for a welcomed addition. Oddworld: Stranger’s Wrath takes the Oddworld series out of the hands of Abe – and it’s all the more better for it. Instead of Abe, you play as The Stranger, a bounty hunter sent to capture his targets dead or alive. The game goes back and forth between first and third person perspectives, while The Stranger traipses through a fantastic wild west setting. It’s totally different than the other Oddworld games – but in a very good way. The original Fable on Xbox was praised for a multitude of things. It had great combat, solid storytelling, and open-ended gameplay that toyed with the player’s ability to make their own moral decisions. Then Fable: The Lost Chapters came out and made a great game even better. 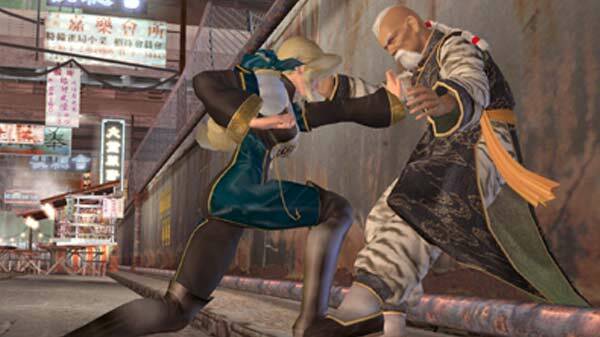 It patched some of the game’s nagging issues. It added nine new areas and sixteen additional quests. Not to mention new monsters, weapons, alignment based spells, items, armor, towns, etc. 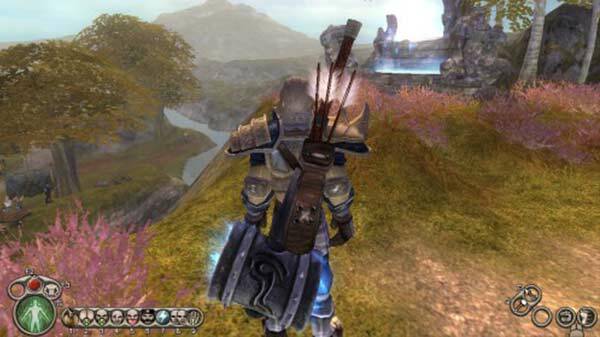 The series may have gotten better with Fable II on Xbox 360 – but it all started here. 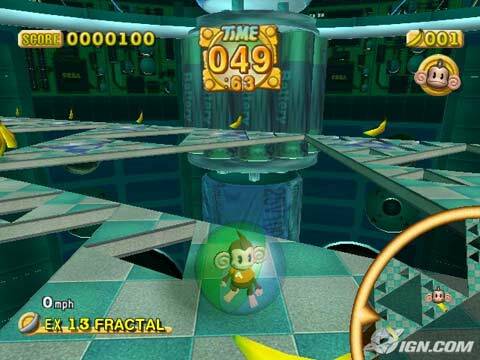 My friends and I spent hours upon hours playing the main game and minigames of Super Monkey Ball and Super Monkey Ball 2. Having a few beverages and playing some Monkey Target? Sign me up! The Xbox received the combo platter of Super Monkey Ball and Super Monkey Ball 2 within the package dubbed Super Monkey Ball Deluxe. It’s a crazy good value. And I can’t think of a reason why Sega wouldn’t bring this back from the original Xbox’s library. It’s a no brainer, and an easy sell for current players. Let’s make it happen, Sega! 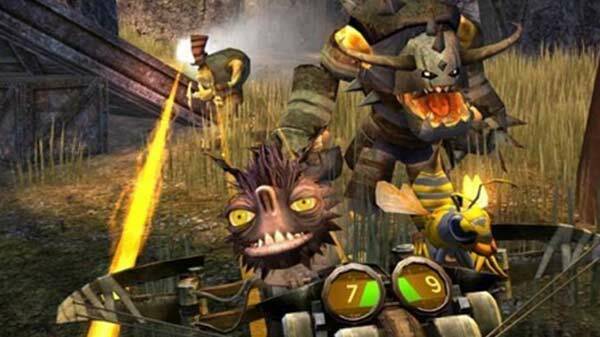 Fans of Goldeneye and Perfect Dark found a bastion of light when TimeSplitters hit the scene. TimeSplitters 2, arguably the best of the bunch, took the wackiness that originated with the series and ran with it. The formula of the two N64 shooters at its roots, but with much better controls, brought a cult fan base to the series. The likes of which are still hoping for a new release to this day. 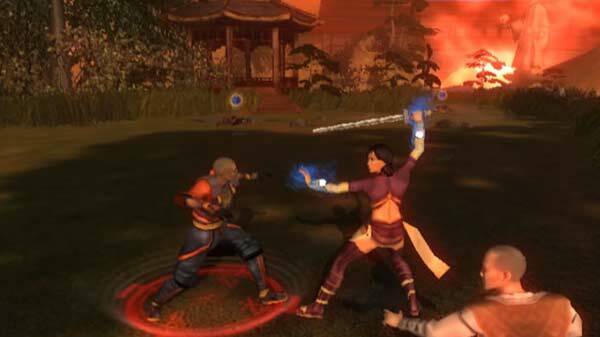 Another BioWare hit that was exclusive to Xbox, Jade Empire was praised for its story, characters and environment. It reviewed quite well even though it had a short play time and relatively simplistic battle system. Thus it’s surprising that BioWare and Microsoft never followed through with a sequel. Should the original become backwards compatible though, give it a go. 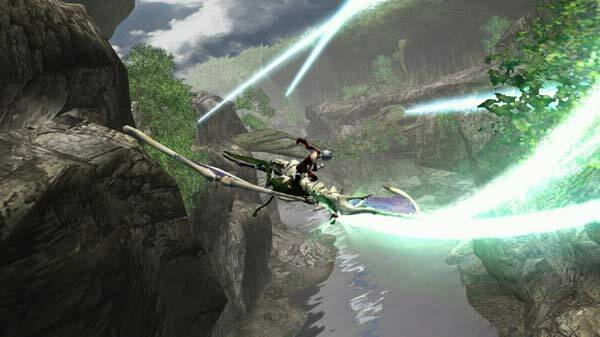 Much like with Panzer Dragoon Orta, Sega brought over a ton of fans from the Jet Set Radio series to Xbox. Jet Set Radio Future was everything fans hoped it would be. 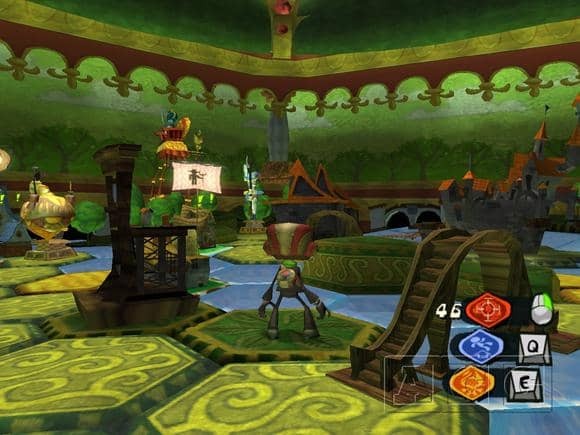 However in the sequel, levels were now interconnected with multiple objectives, and the previous game’s time limits were removed. A sequel was teased for the Wii, but it never happened. 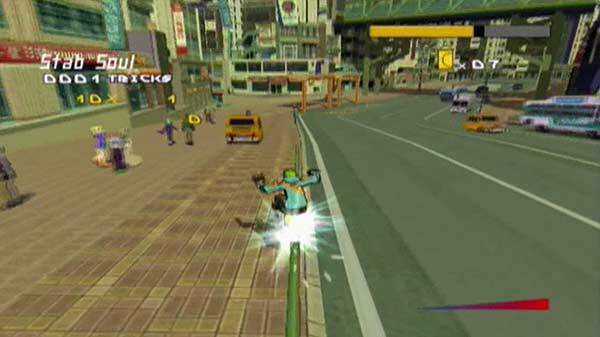 An HD version of Jet Set Radio did eventually land on Xbox Live Arcade. But for Jet Set Radio Future? It’s backwards compatibility or bust. 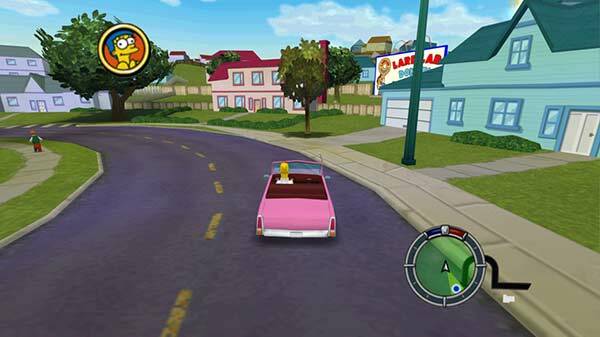 The Simpsons: Hit & Run was adored by fans of the series. Radical Entertainment’s take on the Grand Theft Auto formula was a success. An imperfect one – but a success nonetheless. The show’s voice cast was fully intact. The open world gameplay offered a decent enough story, and driving around actual Springfield looked fantastic. It was funny and fun. Please – someone – bring this gem back. While Tony Hawk and friends were busy pounding pavement, the SSX series stuck to the slopes. The series got fantastic with the release of 2001’s SSX Tricky. However, EA Big got an additional two years after that to put together their ultimate triumph – SSX 3. SSX 3 took the series open world and essentially expanded on Tricky in every way. It’s heralded still as the best snowboarding game to hit the market. I feel like Prince of Persia is one of the most underrated series to grace this generation of consoles. Prince of Persia: The Sands of Time was a masterful game. Enough can’t be said about it. It’s sequel, Prince of Persia: Warrior Within, should also be considered for this list – even it didn’t quite live up to its predecessor. 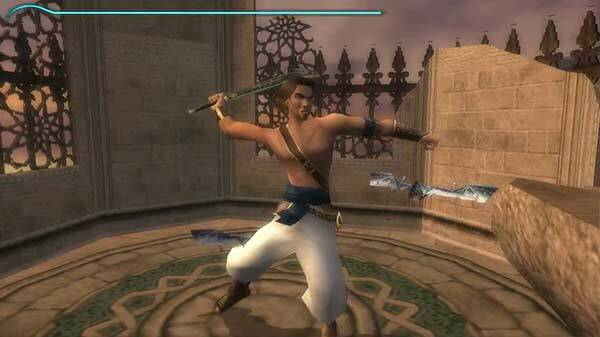 The series then made an epic comeback with the third entry in the Xbox trilogy – Prince of Persia: The Two Thrones. Each of the games included the title’s iconic platforming which can be felt reverberating today in Ubisoft titles such as Assassin’s Creed. The entire series is great, but the original is nothing short of a must play for fans of the genre. For one reason or another, Activision just failed to keep the Tony Hawk series relevant after these two entries. But that’s fine, but perfection is pretty much found between these two games. With Tony Hawk’s Pro Skater 3 and Tony Hawk’s Pro Skater 4, Neversoft took the series that everyone fell in love with and somehow made it even better. 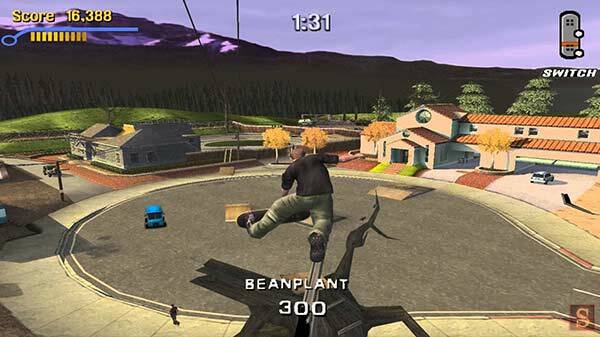 Pro Skater 3 is tied as the highest rated game PlayStation 2 game of all time – and Pro Skater 4 is just a few pegs behind it. There’s hours and hours of fun to be had boarding through these two games. There were quite a few great Star Wars games on Xbox. And it’s on this system where many became familiar with the phenomenal Star Wars: Knights of the Old Republic. 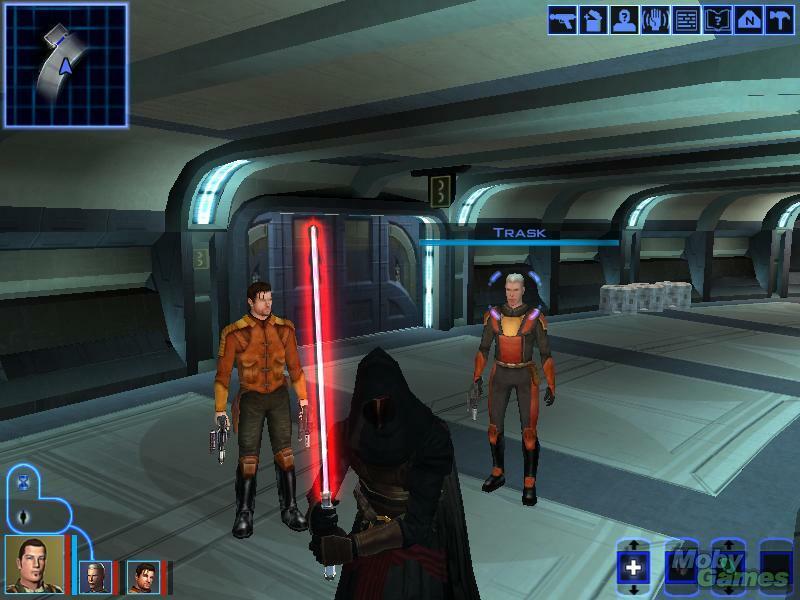 Then, of course, there’s its fantastic follow-up, Star Wars: Knights of the Old Republic II: The Sith Lords. BioWare’s duo of Star Wars RPGS are must plays for fans of the lore. Even if it isn’t necessarily canon any longer. With Disney acquiring LucasArts, it’s possible this rerelease could happen. But with Disney disbanding the Star Wars expanded universe, I would sadly consider it unlikely. 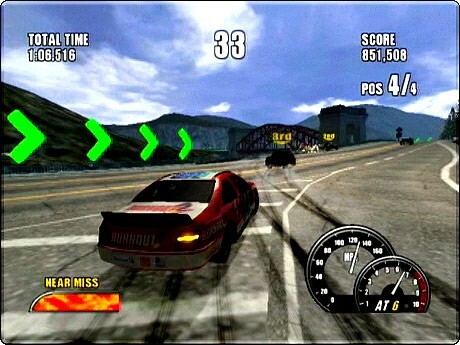 The original Burnout was a solid first effort. But Criterion Games really started nailing the formula with its follow-up, Burnout 2: Point of Impact. That should be our starting point here, but the two that followed it were even better. Ubisoft’s Splinter Cell series had a hell of a run on the OG Xbox. 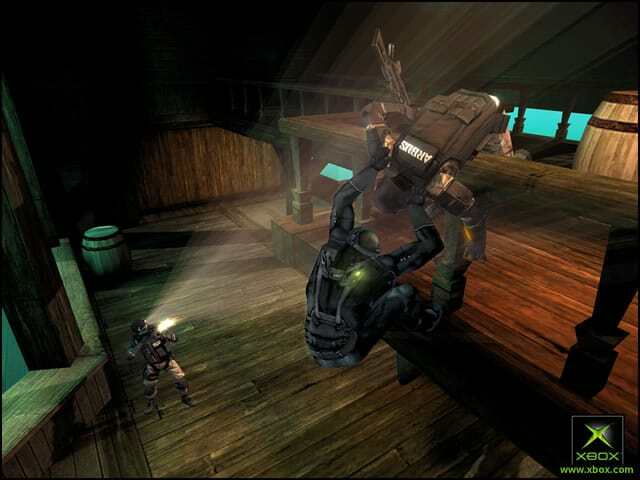 The series consisted of Tom Clancy’s Splinter Cell, Tom Clancy’s Splinter Cell: Pandora Tomorrow, Tom Clancy’s Splinter Cell: Chaos Theory, and Tom Clancy’s Splinter Cell: Double Agent. Each of the quartet was well revered. If Ubisoft were to just put up the best – Chaos Theory – we’d be happy. But really, why pick and choose? Bring them all back! 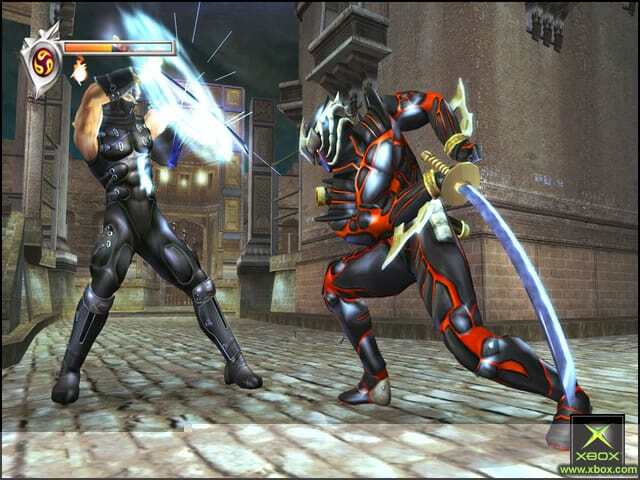 Outside of the Halo series, Ninja Gaiden was one of the definitive exclusives for the Xbox. The game was crazy hard – yet not unfairly so. Progressing through the title was Ryu was challenging yet rewarding, and fans loved it. Nearly a year later, Tecmo released Ninja Gaiden Black for the system. 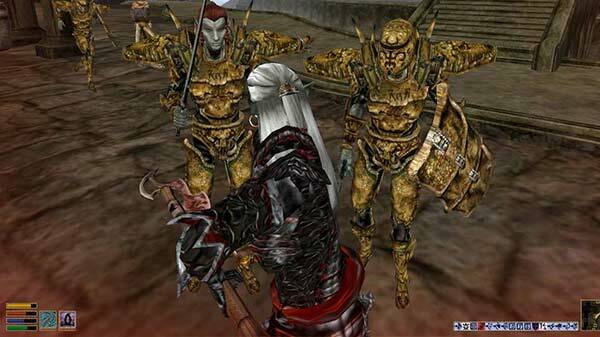 It was Ninja Gaiden, but with the title’s two expansions, new difficulties and more. It was the game’s definitive edition, and a must play for anyone that has access to the system. Does anything really have to be said about this? 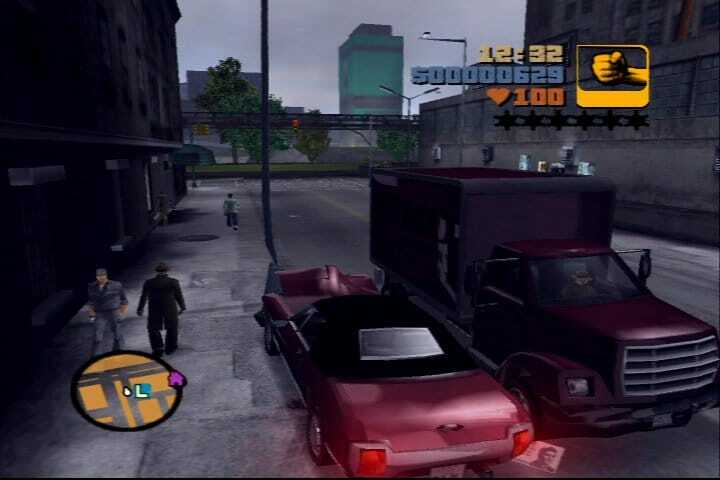 Grand Theft Auto III, Grand Theft Auto: Vice City, and Grand Theft Auto: San Andreas – in one package. If Rockstar worked with Microsoft to get this trio bundle part of the program, the game would be flying off digital shelves. Really, the two would be stupid not to do it.